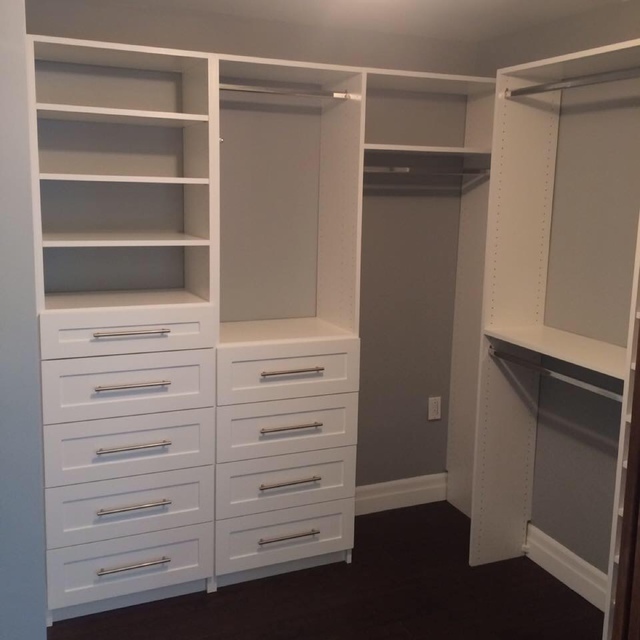 Reviews for Hang Ups Custom Closets Inc.
From start to finish Johnaas absolutely professional, honest and thorough. He was spot on with his time line, spot on with his recommendations regarding materials and finishes and we are incredibly happy we chose his services for this project. He is a man of his word, his craftsmanship speaks for itself and it won’t be the last time we use Hang Ups Custom Closets. We will be recommending him and his services to all of our friends and family. Thank you for the incredible job you’ve done and thank you for helping us make our house feel a lot more like home. 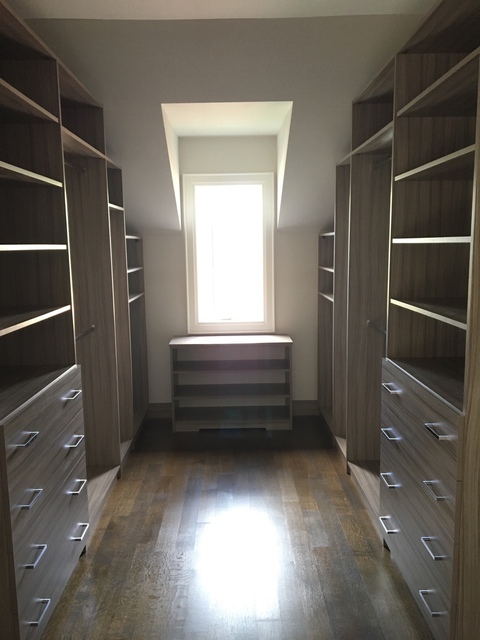 We had an amazing experience with Hang-ups Custom Closets. John came over, listened to our needs and provided insightful suggestions. He made sure we had no wasted space in our new walk-in, and came up with a beautiful design. He was very flexible and easy to work with, and made sure that our closet was ready for the agreed upon timeline. The installation crew were equally nice, helpful and friendly. 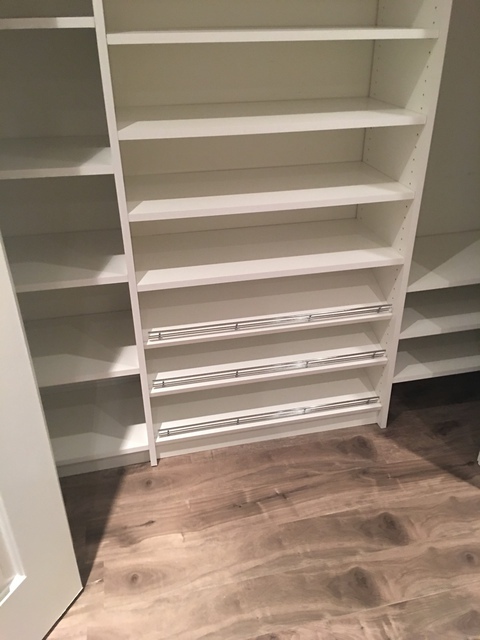 They worked quickly and left me with a beautiful, clean, ready to use closet. John is a master of his craft, I would definitely recommend him to any family or friends! John and his team exceeded all expectations with my custom walk-in closet and built-in pantry. Their attention to detail and high-quality craftsmanship truly made the final product first-class. Their use of 3D renderings helped me visualize the closet configuration and make final decisions. John was passionate, punctual and really showed his knowledge about all types of closets/cabinetry. 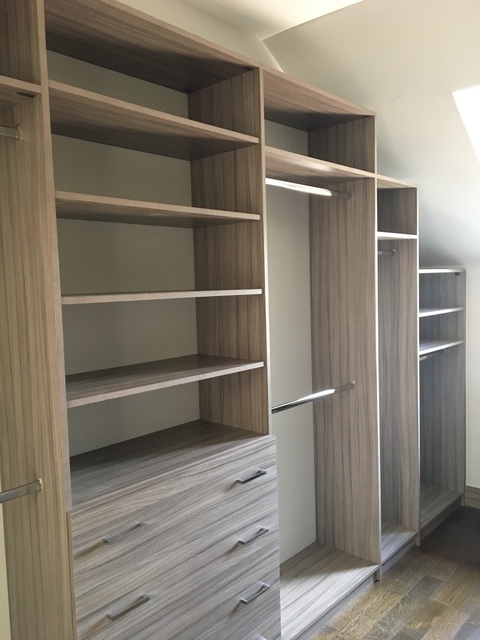 I would not hesitate to recommend Hang-Ups Custom Closets to anyone and will certainly have John back in my home for any future closets/cabinetry work. I am very pleased with the level of professionalism and communication by the owner, and with the care and work done by the employees. Their measure twice and cut once approach ensured a seamless installation. I would definitely use their services again, and I will be recommending Hang Ups Cusom Closets to people I know. Thank you, John and staff! Thank you Patricia, your kind words are much appreciated! It was a pleasure to work with you as well. We hired HangUps Custom Closets to build a built-in his/her closet for us. I didn't know exactly what I wanted but had some ideas. John listened to what we were looking for & came back to us with a practical & sleek design - within a few days - and his price was extremely reasonable. He gave us some good advice on the location of the built-in & I'm glad we listened to him. It's perfect. Our house is older & the walls/ceiling aren't exactly square & level. You can't tell though; the job they did in finishing the closet to hide the structural imperfections of our room is fantastic. Prompt, courteous & clean, the staff was easy & wonderful to work with. I strongly recommend them. Thank you so much for the wonderful review! It was a pleasure to work with you as well. Let us know if you ever need anything else. 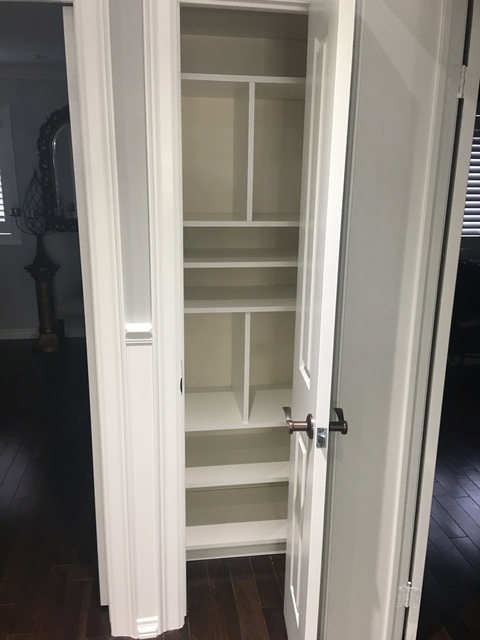 Built ins into a baby closet as well as new doors. Hanging room, drawers and shelves. I was very happy! Appreciate the nice review Rachel, thank you! Glad you're happy with the work. Clean installation. On time. Very good installers. Closet works just we wanted and needed. Highly recommend this company. Thank you! It was a pleasure to work with you, as well. Display closet for consignment store. They came in, spoke to us about our requirements. Within two days we had a complete estimate with associated costs. We approved the drawing and made an appointment for installation. Installation was need and tidy. Exceptional design and service. 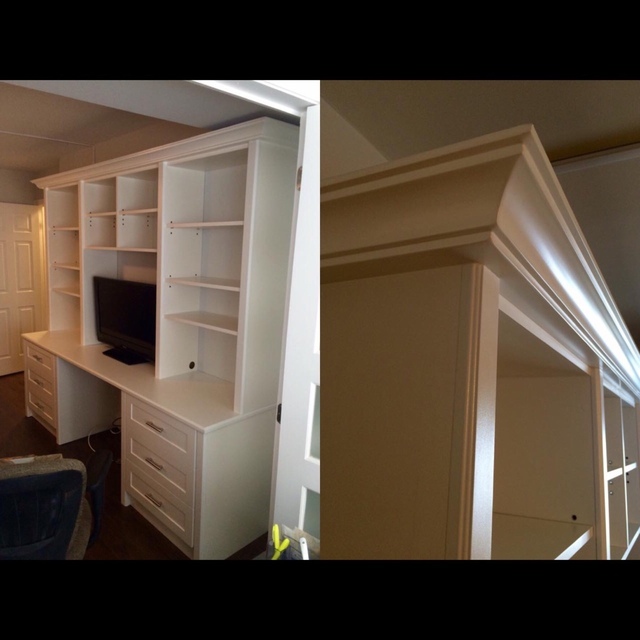 Hang ups did an AMAZING job building built- ins in our family room. They were really friendly, professional and full of ideas on what would look the best as in color, style etc.. I was lost for words when the job was completed. Totally surpassed my expectations. I've recommended Hang ups to my friends and family. Thanks for the great review! It was a pleasure to work with you, as well. 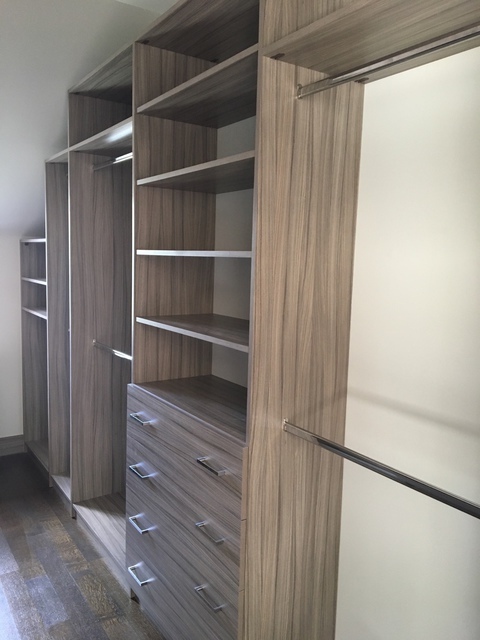 More about Hang Ups Custom Closets Inc.